It is a cliche to say purchasing your first home is one of the most important financial decisions you will make in your lifetime. But it is true. The buying process can be rather complicated and lengthy but there are experts on hand to assist you every step of the way. Firstly look at your financial position. You should be earning a steady income (a recent promotion will help) to make your mark on the world of property. You can decide to go it alone or buy with a partner, family member or friend. You will be in good company. Bond originator ooba notes that 51.7% of its bond applications in June were from first-timers and a survey by FNB reveals that first-time buyers were estimated to make up 22% of total buying in the second quarter of 2013. Rupert Finnamore, Pam Golding Properties Hyde Park joint area manager, says it is useful to gain a feel for the property markets and neighbourhoods in various suburbs by browsing property websites and the weekend property guides. “Once you have decided where you would like to purchase, the next step is to consult a reputable estate agency that specialises in your area. “The area expert should be well-known with a sound track record, who can provide you with useful and relevant market information (prices achieved, future prospects etc) as well the processes involved in purchasing and selling a property. Some of the latter can be technical and quite complex. “Buying or selling a home is a contractual transaction with several legal documents involved. It therefore makes sense to work with a professional who can explain everything to you and ensure that you’ve dotted every ‘i’ and crossed every ‘t’. 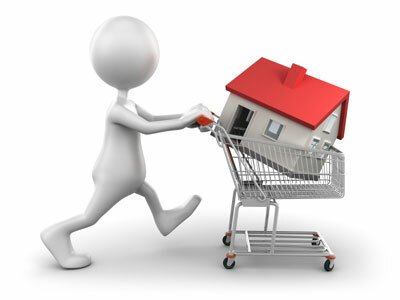 “They also have properties on their books which may not be advertised elsewhere which will widen your choice of homes. Some sellers prefer not to advertise, citing privacy as a prime concern. “An estate agent can also do a lot of the legwork for you and save you considerable time and emotional effort. For example, a property advertisement may tell you how many bedrooms a home has, but it will not reveal the size, where they are situated in a house, or how much cupboard space there is. Your estate agent can advise you on whether your requirements and price range are realistic for the area of your choice and, if not, can suggest alternatives. “Remember that owning a home is not just about the monthly bond repayments,” cautioned Pam Golding Properties Hyde Park joint area manager, Jonathan Davies. “Rates, maintenance costs and utility bills, most likely covered by your landlord if you were previously renting, will also have to be taken into account. After you have chosen the property you would like to buy, you would then submit an offer to purchase in writing to the seller. Your estate agent will help with this. Your offer should be based on the asking price of the property, although sometimes sellers indicate that they are prepared to accept offers below the asking price. You may also need to subsequently negotiate above your initial offer if the seller considers it to be too low, or you may lose out on a property you really like to a buyer with a more attractive offer. “This means that you may not get the first property on which you put in an offer to purchase, but don’t lose heart. There are many properties out there, each with its own unique features,” says Davies. Once your offer has been accepted, the next step is to get a bond from a bank for the amount which you need to borrow. Make sure you have all the necessary paperwork together, especially your employment and credit history. It is advisable to consult a bond originator, which your estate agent can recommend, to assist you in identifying the most suitable financial institution. Bond originators’ services are free and they will help you get a loan with the most suitable terms and conditions (fees and interest rates). A difference of a few percentage points in the interest rate may not seem like much, but it can make a huge difference when paying off a 20-year loan. In most cases a bank will require a deposit of between 10% and 20%, which you need to take into consideration when making an offer and applying for finance. A small percentage of total bonds granted, are 100% loans. You can also approach the banks before you decide to put down an offer to purchase, so that you know in advance how much the banks are prepared to lend you. This is known as pre-qualifying for a bond. “Your estate agent should also help you look at the transaction costs involved in the legal process to buy a property,” says Finnemore. “Properties that cost more than R600 000 are subject to transfer duty and transfer costs. These fees vary depending on the price of the property and cannot be covered by a bond. “A home that costs R1m, for example, will attract bond registration and transfer fees of approximately R45 000 to R50 000. The bond registration fees, which are payable to the bond attorney, include an initiation fee. Your transfer costs include a transfer duty. The process of registration and transfer of the property takes about three months, which may seem like an eternity to eager first-timers.